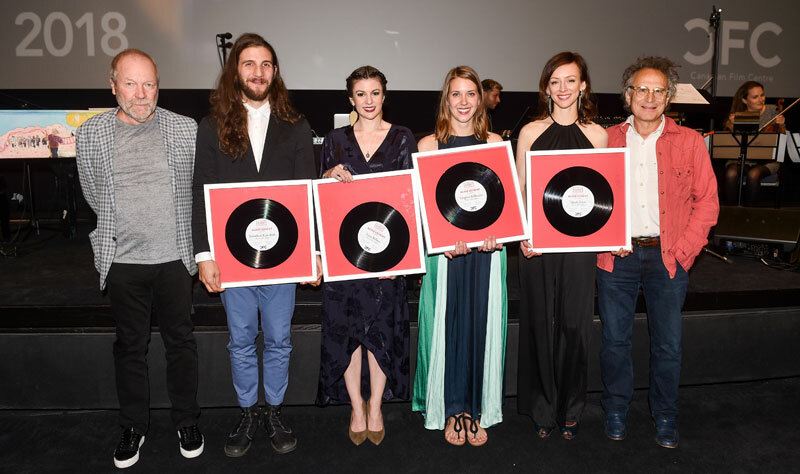 Yesterday evening, we celebrated the 2018 Slaight Music Residency Showcase at TIFF Bell Lightbox in Toronto. This event serves as the official wrap on the 2017/18 Slaight Music Residency and also as an industry launch for the outgoing songwriters and/or composers who participated in the program: Lora Bidner, Jonathan Kawchuk, Virginia Kilbertus and Sarah Slean. CFC CEO Slawko Klymkiw took to the stage to thank the program’s title partner, “We would never have been able to run this program without the support of Gary Slaight and The Slaight Family Foundation; their belief in Canadian music has allowed this program to prosper.” He went on to thank the program’s incredible mentors, as well as Program Chairs Juno Award-winning singer-songwriter Marc Jordan andcelebrated composer and musician Lesley Barber. Following the screening of the cinematic pieces, the residents were called on stage to accept their certificates of achievement, which were presented by Gary Slaight and Marc Jordan. Guests were then treated to a special live musical performance by the four residents, who were joined by a string quartet, which included Slaight Music Residency alumnus Michael Peter Olsen, as well as alumnus Dillon Baldassero on synthesis. 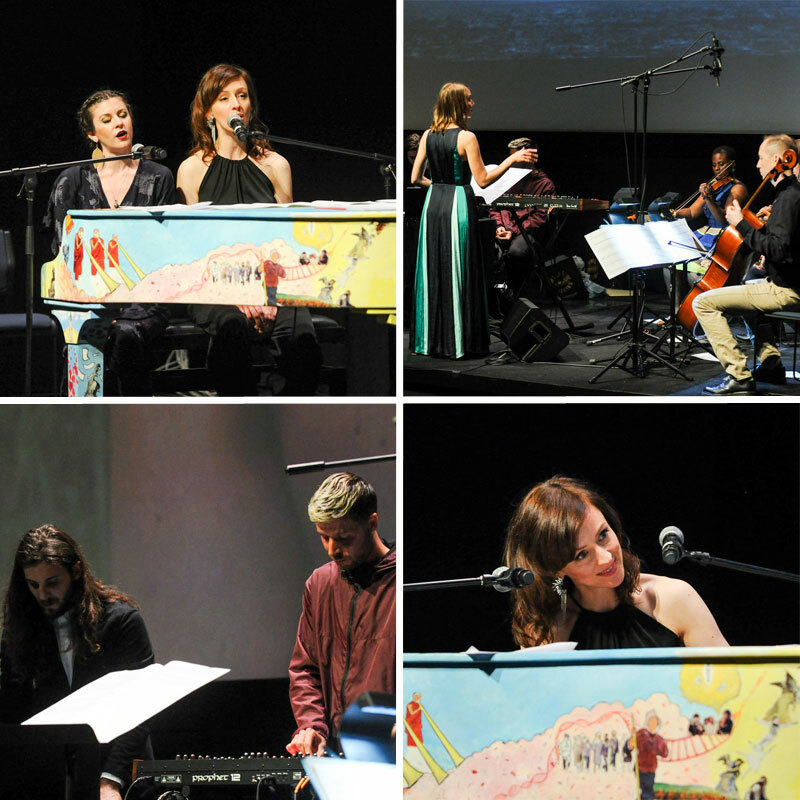 The performance was a tribute to some songs and score in film that were selected by the residents as points of inspiration for each of them, and included musical selections from Portishead, Jóhann Jóhannsson, Philip Glass, Harry Warren and Mack Gordon, and Sufjan Stevens. Select scenes from each film were projected on the screen behind them throughout the nine-minute compilation. The 2017/18 residents performing at the showcase. The six individuals who have been selected to participate in the 2018/19 Slaight Music Residency were also announced at last evening’s showcase: Suad Bushnaq, Jason Couse, songwriting duo Ashley Jane and Timon Wientzek of In the City, Stephen Krecklo and Antonio Naranjo. Stay tuned for the full 2018/19 residents announcement, which will be available on our website tomorrow. See more photos from last night’s showcase HERE. All photos by Ernesto Di Stefano/George Pimentel Photography.